Blogging is one of the best ways to start a internet business because it is so easy to get going. However, that does not mean that it is easy to make money from your blog. Do not start a blog and expect to see money rolling in immediately. 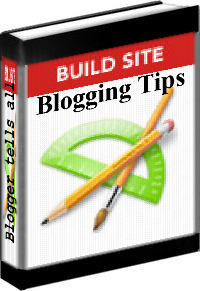 Blogging is an activity that will take time to build up to a profit level. It's a good thing to start while you are working on other Freelancer opportunities to let it build to a profitability level. With time and attention, your blog (or blogs) will grow into a business. When you are blogging for profit, you will want to pay close attention to how you present yourself in your blog. There are literally hundreds of thousands of blogs out there, and there may be several hundred blogs that are related to your topic. If your readers can't understand your blog and have trouble reading it, they will just move on to the next one. The following blogging tips can make your blog more user-friendly and help you gain consistent readers. First, pay close attention to the format of your blog. Readers want to understand how your blog works right from the start. Most blogging platforms have similar formats, with links and tags on the left or right margin, and the most recent post on top. Make sure to use the links wisely. Only put links up for blogs or content that is truly related to your blog's topic. The point is to give your readers additional information on your topic. Keep the list short and sweet. There is no reason to overwhelm them with links to other sites. Also, take careful consideration when choosing your blog's background and font color. Although there are a lot of color choices that blogging programs offer, its best to stick with a light background and dark text. Studies have shown that the human brain can process this type of format better than light text on a dark background. Think about this before you commit to a black background and white text. It might look striking, but readers might not want to stay there for long. Also, use a solid background color instead of trying to use a pattern or design. Very Important Blogging Tips. Proofread your entries before you post them to your blog. There is nothing that reduces your authority in the eyes of your reader more than poor spelling and grammar. The online world is a world of text, so take some time to learn commonly misspelled words and grammatical errors. Keep your blog fresh and interesting by posting at least once per day. With so much information available on the Internet, your readers may go elsewhere if you are not supplying daily content. If you are not sure what to write about, try posting a poll, a link to another blog, comment on a news story or post of list of helpful tips. Not every post has to be long and complicated, but you do need to post something everyday. These tips will help keep your blog readable and interesting to your visitors. The more visitors you get, the more your blog will grow in profitability and importance. Just make sure to present yourself in a professional way and keep your readers coming back for more new content each day. In no time, you will have a profitable blog and then you can move on to create two or three.